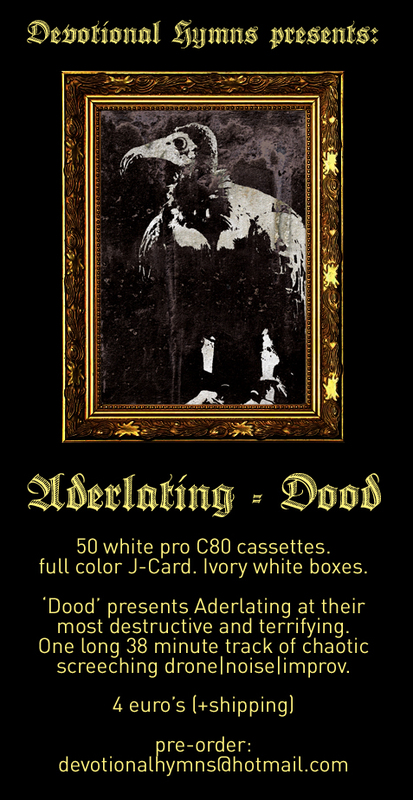 New cassette coming from Aderlating. The details are all above. The last couple of Aderlating releases have been amazing, so this promises to be no less. Send Mories an email at his label, Devotional Hymns, to reserve a copy - devotionalhymns@hotmail.com - and you'll pay when it's officially released. Limited to 50, so send the email ASAP.